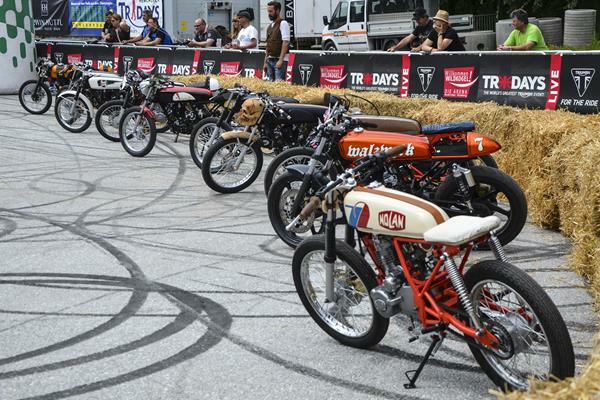 Also this year we took part at Tridays, the most important Triumph event in the world. From 25 to 28 June, the little town of Neukirchen in Austria became "Newchurch” to follow the British style and hosted a lot of Triumph riders from all over the world. Free Spirits team was there with its stand and this year presented a new motorcycle: Wambo. This new bike was designed by the little Moritz Bree, the eleven years old son of the Tridays mastermind Uli Bree. He thought about the motorcycle’s style and we installed our Free Spirits parts following the idea of the young artist, who painted the tank all on his own and he decided to call it WAMBO, a little grey elephant, who is carrying the right words on his neck. Obviously at Tridays cannot miss the official Triumph stunt man Kevin Carmichael that with our K31, created for him, made different and performance shows during the three days. This year, to celebrate the 10th anniversary of the Tridays, there was a new event: the Ace Race "24 minutes of le Bree”, a shorter imitation of the "24 hours of Le Mans”. 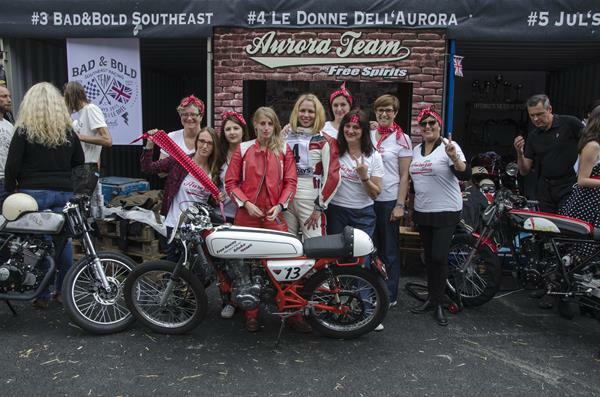 We took part to this race with our Ace Race team "Le Donne d’Aurora”, our riders Brit Jet and Kara Satana run for 12 minutes each with a vintage style Skyteam, which we modified with some of our Free Spirits parts. There were 10 teams that took part and at the end of the race we placed 6th. The atmosphere was great, no hate or spite between the riders, just kindness and fun. The weekend flown away really fast and now we are at home but we are already waiting for the next year Tridays.